Perhaps you heard the rumbling of heavy machinery south of Sister Bay towards the end of October and wondered if someone was digging to the center of the earth! It’s only John and Nora Zacek, intrepid owners of the Open Hearth Lodge, bringing some of the 21st century to their already popular lodging – exciting news for Sister Bay, all of northern Door County and beyond. John and Nora have been thinking about adding an elevator for almost three years. In 2013-2014 they expanded their breakfast room, added an exercise room and updated the pool area in anticipation of the big changes they’d been planning for: the Elevator! More and more of the retired travelers enjoy taking bus tours to explore Door County, and Open Hearth Lodge welcomes these groups frequently. In order to meet the needs of a large percentage of their customer, John and Nora took the big step to provide this almost necessary amenity. 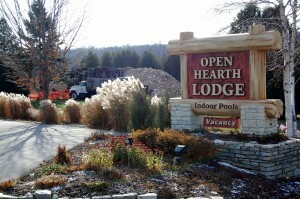 The whole Lodge has free WiFi, another ‘must’ for today’s Door County vacationer. It used to be something business travelers required, but now families depend on this as well to stay connected with friends and house sitters, and to share their photos and experiences. The new exercise room is a bonus, but the Zacek’s haven’t forgotten the beautiful outdoors. There are 6 acres of open land behind the building with a quarter mile loop walking trail. The Sister Bay sidewalk ends right at the Open Hearth Lodge parking lot which means visitors can walk or ride their bikes safely and off the highway all the way to Sister Bay, which is just a mile away. 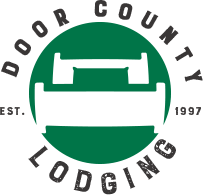 In addition to the elevator, 11 new rooms will be added and the lodge theme will be maintained, keeping the warm atmosphere that Open Hearth Lodge is well known for. Nora will continue the one of a kind decorating theme that is a hallmark of the Lodge. 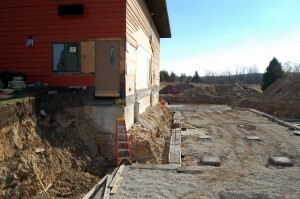 There will be unique elements in each room that will individualize it while maintaining a cohesive lodge feel. 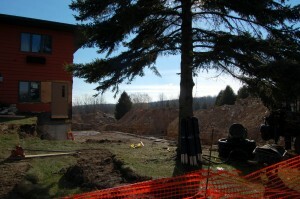 Haverkorn Construction of Green Bay, their contractor, specializes in log home restoration and building. The construction company owner himself built a home in northern Door, so he has ties to the community. The Zacek’s expect the work to be done at the end of April 2015 and anticipate that they will be ready to welcome their regular customers, and new ones, in early May of 2015! Make your 2015 reservations at Open Hearth Lodge in Sister Bay, Wisconsin now – call 888.795.5726 and visit openhearthlodge.com for more information!